Chairman of Electric Power Development Co.,Ltd. 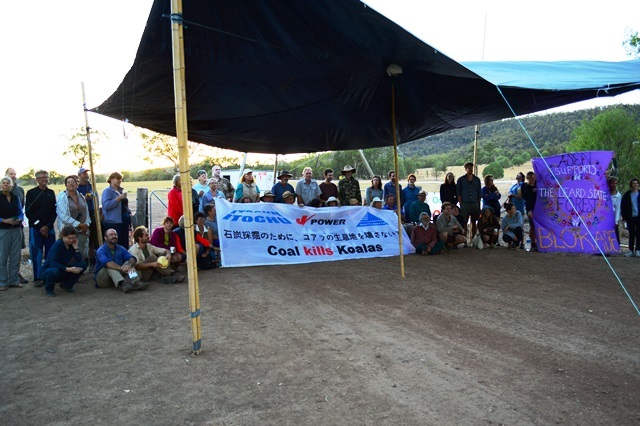 On behalf of the undersigned organizations, we are writing to express our serious concerns regarding the controversial Maules Creek Coal Mine. Australia, whose economy has been driven by a “resource bonanza”, is now Japan’s biggest coal supplier. At the same time the impacts of Australia’s coal industry include community disruption, water depletion, damage of some of Australia’s best farmland and serious health problems for communities in close proximity to the coal mines. Maules Creek is one of those communities that is being affected by the country’s coal industry expansion. Whitehaven’s Maules Creek mine, which is the largest coal mine currently under construction in Australia, is located in the Gunnedah Basin in the north-west region of New South Wales. Maules Creek is 15 per cent owned by Japanese trading company Itochu and 10 per cent owned by Japan’s Electric Power Development Co (J-Power). The indigenous inhabitants of the area are the Gomeroi (also spelt Kamilaroi) people, who have lived in the area for tens of thousands of years, forming the oldest continuing culture on Earth. A group of Gomeroi people filed an application for a Native Title determination for the area including many mining company sites like Maules Creek. 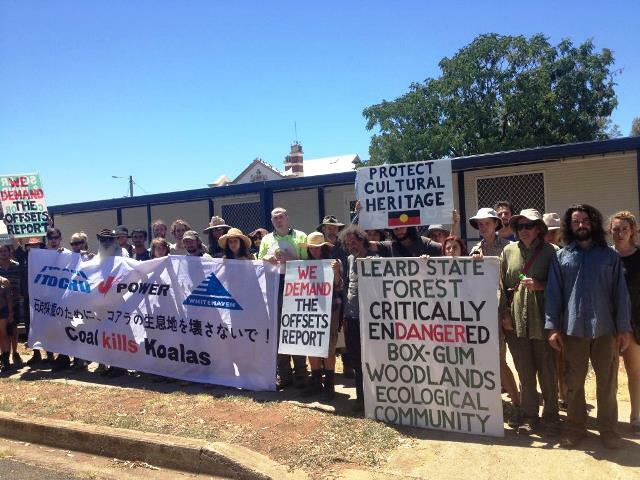 They are deeply concerned that mining projects could destroy their sacred sites within Leard State Forest. Indeed, as we write this letter to you, members of the Gomeroi community are seeking urgent intervention from the Australian Government, to stop destruction of sensitive areas including burial grounds, under the Aboriginal and Torres Strait Islander Heritage Protection Act. The mining project is ruining the cultural heritage of the Gomeroi traditional owners. Leard State Forest includes the most extensive and intact stands of the nationally listed and critically endangered Box-Gum Woodland remaining on the Australian continent. The thousands of hectares of Australian native forest within Leard is home to nearly 400 native species of plants and animals, and includes habitat for 31 threatened species and several endangered ecological communities. Big bulldozers have already begun to clear fell trees for an access road. This mine will leave a permanent void hundreds of metres deep and will have a lasting impact on irreplaceable groundwater resources. The mine will run 24 hours a day seven days a week and will cause noise and dust pollution that will affect the health of the local community. This high conservation value area deserves to be protected. We are calling on you to use your powers to save the environment and the surrounding communities. Northern Inland Council for the Environment Inc.